It's nearly here! Convicted, book 3 in the Consequences series by Aleatha Romig is being released tomorrow! We know that a lot of you have been patiently waiting for it! 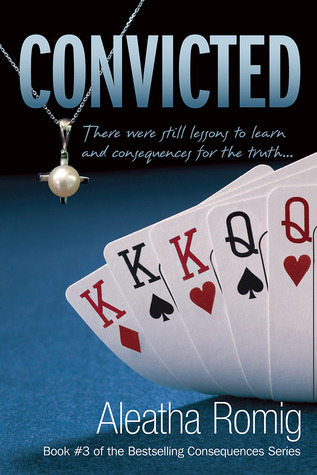 Willow was lucky enough to get an ARC of Convicted and you can find her spoiler free review below. 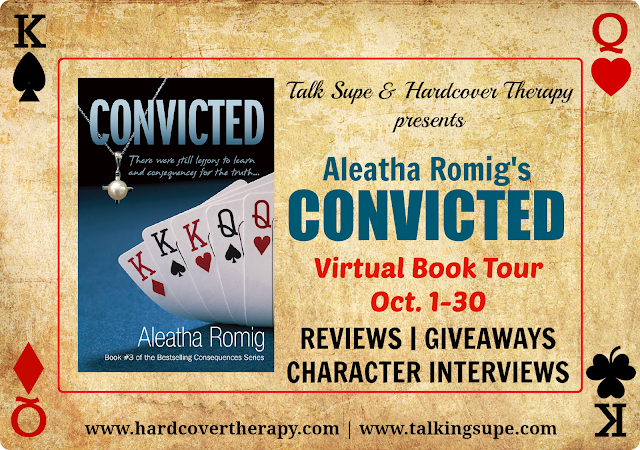 There is also a chance to win a signed copy of Convicted, courtesy of Aleatha! But don't miss the character interviews at the end of the post! This is a difficult review to write because I can't really say anything about the contents of the storyline, because I don't want to give anything away. I feel that you all should feel the shocks and surprises as I did whilst reading by going in blind. The book was certainly one hell of a ride and I suffered with a major book hangover after. I will say that you do get some answers, like who was on the Island with Claire at the end of Truth and the circumstances around certain people's deaths. The first chapter of Convicted, has a punch to it. The minute you've finished it you are saying OMG!! It completely draws you in and you are desperate to see what caused this situation and if they ever get out of it - it's quite a hook to reel you in. The book flicks back and forth to the past and over the course of the book you do learn what has happened between the end of Truth and the beginning Convicted leading to that scene. I have to say that this book had me in a constant status of high alert, the angst I felt from the first chapter never left me throughout the whole book. With each turn of the page I hoped that Aleatha would give me something to ease that, but when she did, she just took it away again. There are several players in this book, and much like the second book, Truth, where you are flicking between scenes from Claire and Sophia, here you get the same thing, with chapters flicking from one player to the next. I found myself frustrated at times as this happened because I wanted more from the player I was reading about but then i'd become so engrossed in the next player's chapter that my frustration was soon forgotten. There were lots of twists and turns and several OMG moments, there were moments of tears and moments of anger. There was a chapter where my heart literally shattered, I couldn't believe what I was reading. I'm sure you'll feel an array of emotions reading this book. I would usually highlight bits of books as I'm reading, but I didn't highlight a thing because I was so engrossed in reading and wanting to get to the end to see how things worked out, the thought never crossed my mind. Again I loved the little quotes at the beginning of each chapter, which sometimes had me worried at what was coming next. Was it as I expected? No there were things that were much better than I hoped, but there were also some things that I would have liked to be fleshed out more and some things I was disappointed were missing. Did that detract from the story? Definitely not! It is, in my opinion, an amazing book, it kept me on the edge of my seat the whole way through and definitely deserves every one of it's 5 stars! Aleatha's writing is just brilliant. The ending of book 1 ~ Consequences totally blew me away and made the book for me, but I was concerned that future books in the series wouldn't have such an impact, but I didn't need to worry, both Truth and especially Convicted have such mind uckery in them and keep you guessing what's coming next, you end up thinking about them for days after you've finished. I also love the fact that in Consequences I was a total Tony hater, In Truth I changed my mind, but felt I still couldn't forgive him, this book there are some amazing moments with Tony that made me think I could actually forgive. My heart melted more than once, but whether I did forgive or not I wont tell you, but either way Aleatha has done a brilliant job of getting us out right Tony haters to even consider changing sides! The whole series has been one hell of a ride and Convicted certainly doesn't disappoint. I urge you that if you still haven't read them to give them ago. 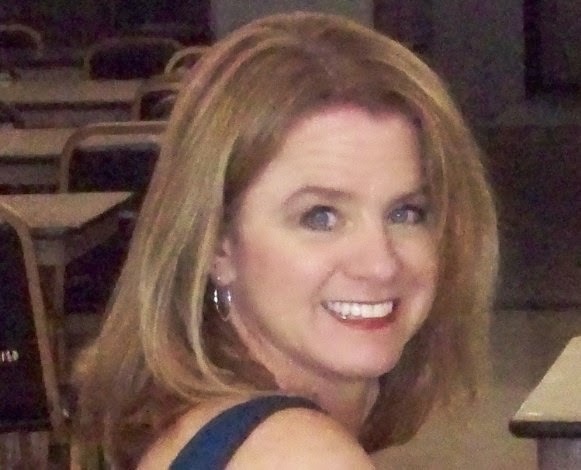 Aleatha Romig is a bestselling author, who has been voted #1 "New Author to Read" on Goodreads July 2012 - Present! She was also #9 most followed author on Goodreads - July / August 2013. Aleatha has lived most of her life in Indiana growing-up in Mishawaka, graduating from Indiana University, and currently living south of Indianapolis. Together with her high-school sweetheart and husband of twenty six years, they've raised three children. Before she became a full-time author, she worked days as a dental hygienist and spent her nights writing. Now, when she’s not imagining mind-blowing twists and turns, she likes to spend her time with her family and friends. Her pastimes include exercising, reading and creating heros/ anti-heros who haunt your dreams! CONSEQUENCES, her first novel, was released August 2011 by Xlibris Publishing. 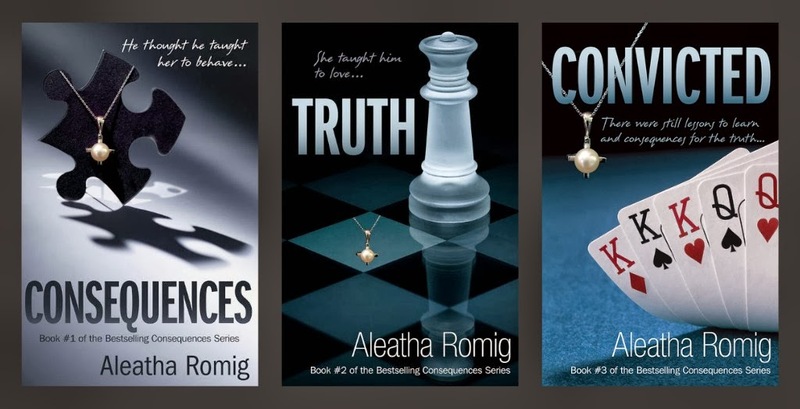 October 2012 Ms. Romig rereleased CONSEQUENCES as an Indie author. TRUTH, the sequel, was released October 30, 2012 and CONVICTED, the final installment of the Consequences Series, release today, October 8th, 2013! Flash forward...now it’s October of 2013, and the world is discovering that all was not as it appeared. My Life As It Didn’t Appear by Meredith Banks, (which was originally scheduled to be released by Parrott Publishing on October 1 but has been delayed again due to legal battles) will eventually hit the market. The release is imminent and the snippet alone has revealed a peek into the depth of misinformation in my original interview! Please join me in learning the real story...what were these two individuals hiding from me AND from you in 2011? Today we planned to speak with Catherine London and Eric Hensley. They are both longtime trusted employees of Anthony Rawlings. As personal employees, they alsoworked for Claire Nichols, while she and Anthony were married. They would undoubtedly be able to give us insight into the real life of Claire and Anthony. Oh, I didn’t mean that. No, I don’t think so. I mean, she was really scared when she first got here. But seriously, if it is all true, who in their right mind would go back with him? I mean, she even believed Mr. Rawlings was responsible for other crimes. I don’t think she was thinking straight...unless, she did it to protect SiJo, or she thought she was. I really don’t know. I’d love to clarify a few of your comments...can you define “friends”? I believe I’ve seen more than one picture of the two of you together while she lived in California. I think I even read that the two of you were living together? **Mrs. Weston contacted me when she read that I was doing this series of interviews. She asked to be interviewed, claiming “inside” information regarding the Rawlings’ inner circle of friends. I’ve heard what they say is in that book. I don’t believe a word of it. And I never understood Tony’s fascination with her. I mean seriously, none of us—you know, close friends—understood it. He had/has so much going for him. Likeseriously, a man like him would need to kidnap a woman. Let me tell you, she sure didn’t look kidnapped back in 2010! I mean, she was dressed in all the best and hung on his arm like she was afraid to step away. Thank you, as well, for the giveaway. I can not wait to read this ! !